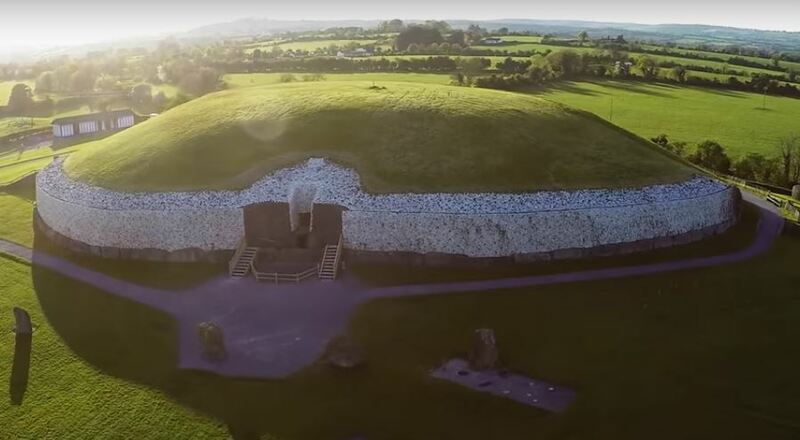 Newgrange, a devil site in Ireland, is said by archaeologists, to be 8,000 years old. This is rubbish. It's been there a while, no question, but doesn't look older than any castle I visited. Those rocks with the swirls look like cement. I could do that. Find me a big rock to work on, I'll get the cement. The building itself looks properly older than those fake rocks, but when you look at some of the ruins, and buildings, surviving from the 16, and 1700s, you see similar brick work. I would not be surprised if it was built about that time. I heard Stonehenge was built by the British army, and that could easily be so, we know what the army is for. The one-eye salute brigade is a tool of the elite. Stonehenge is no older than 200 years. Probably less than 100 years. They are not proper rocks. Cement was used. The pyramids could be only a few hundred years old, easily. You believe what you are taught at school. You were rewarded for repeating what you were told. That's how it goes. 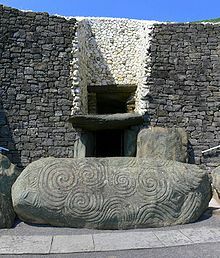 They could have been completed in the 1700s, and by the 1900s, we are being taught, that they are, thousands of years old. That's how it's done. The pyramids look the oldest of three, to me, castle old, would be my guess. Every country, it seems, has devil worship sites, that have weathered time. As building technique improved, newer devil sites were built, more comfortable ones. Building has come a long way, and these sites are more likely to be found, in built up areas. In towns and cities. A lot of them are open to the public, they are called chapels. Private ones are called lodges.